On my Windows 10 computer I recently downloaded the ePSXe emulator to play some PlayStation 1 games. 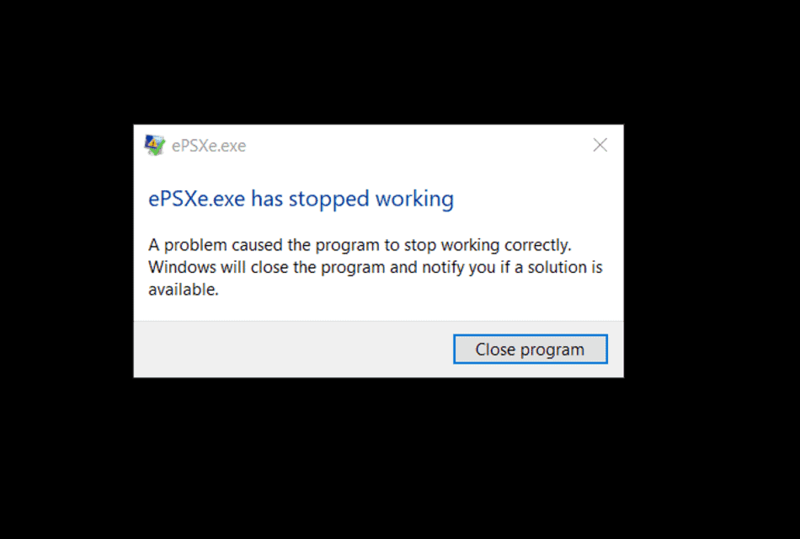 Unfortunately every time I tried to run a game or even just load the bios ePSXe would crash. The solution was pretty simple under the Options menu I set the CPU overclocking to x1. Nothing was previously ticked. Thank you. I read this and thought, “there’s no way this is the solution.” I spent an hour looking at other threads with much more complicated solutions proposed. Thank you. This worked! I too spent some time troubleshooting. Thank you. I guess the simplest answers are often the correct ones… Pretty neat that ePSXe ships broken out of the “Box” now, that’s a new feature implemented since the last time I ran it. Hello. 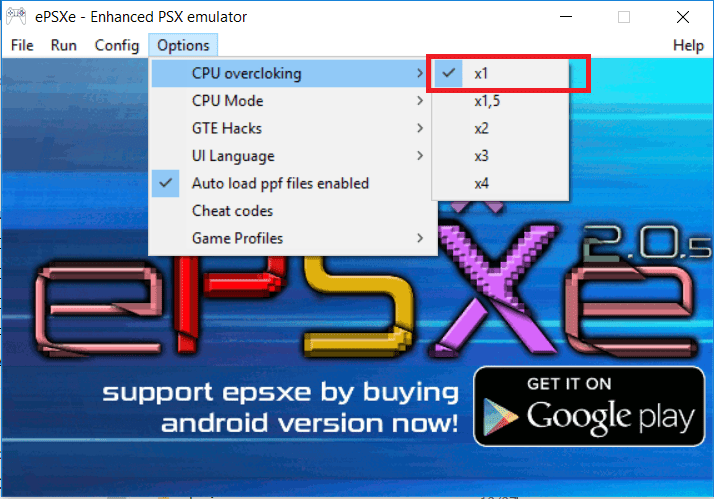 I am currently using ePSXe in my android mobile phone (note 5). 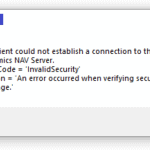 I’ ve faced the error saying Emulation stopped. ePSXe core stopped due to unknown opcode 410011FF at 0000003C. I really don’t know how to solve this, could you please help to advice me on this. Thank you so much.